DEODATH DULALCHAN took time off yesterday from his busy Carnival policing schedule to do some farming on two-acres of State lands in Felicity which have emerged as the burning issue in the Police Service Commission (PSC’s) recommendation of him as the country’s next commissioner of police. 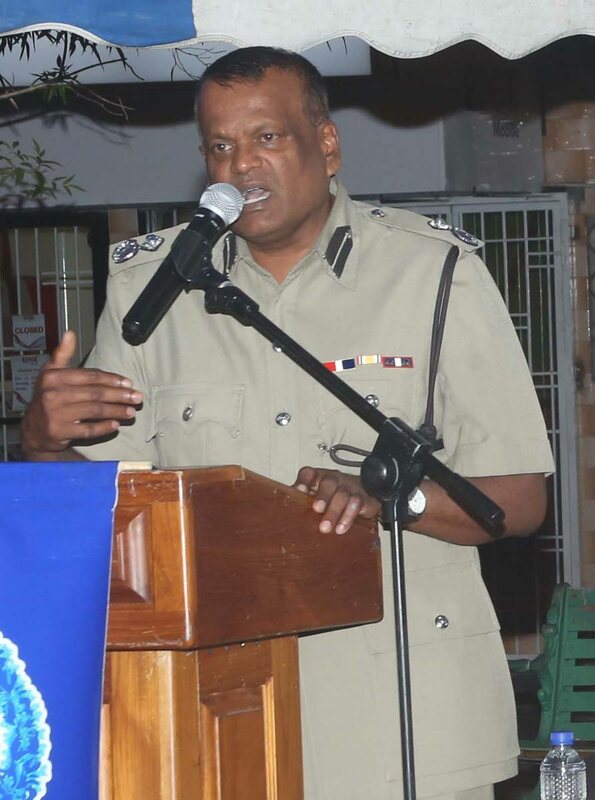 Sunday Newsday caught up with the acting deputy commissioner, who is Gold Commander for overseeing policing for the Carnival celebrations, as he on the controversial agricultural plot at Chatorie Street, Felicity, Chaguanas at mid-afternoon. When approached, Dulalchan seemed unperturbed by media, including social media, reports, which, in recent weeks, generated heated debates over his recommendation for commissioner while smack in the middle of a State land row. Wearing a T-shirt and track pants, Dulalchan said he would clear the air on Wednesday on how he got a licence and subsequently a farmers badge to take possession and develop land once owned by the defunct Caroni (1975) Limited in less than five months, in light of his selection to be the country’s top cop. Dulalchan confirmed he was granted a licence in August last year to occupy the land and subsequently register as a farmer the following month though three of his neighbours have claimed they have been cultivating the plot for the past 15 years. Reiterating he will clear the air in a press briefing on Wednesday, Dulalchan said, “I have no comment to make on this issue. All will be told soon. I did not take these lands. I have been granted a licence by the Commissioner of State Lands for the benefit of this small Felicity community.” Dulalchan spoke as he oversaw a group of youths from the village tending to his goats, sheep and the cutting of grass. Felicity resident Selvin Mahabir raised the issue when the PSC revealed its recommendations of Dulalchan as well as deputy commissioner Harold Phillip. In his letter to the Commissioner of State Lands, Mahabir stated he had been cultivating the two-acre plot upon Caroni’s closure, but Dulalchan ordered him out of the lands in August. 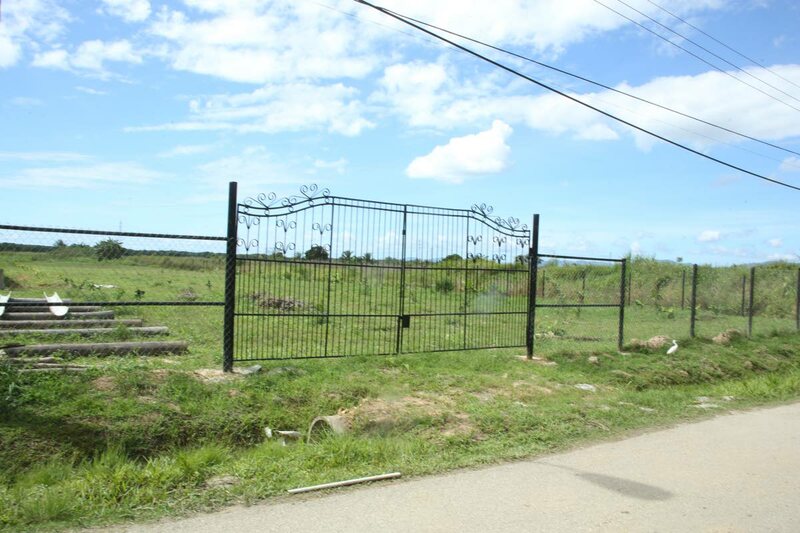 Mahabir pointed out to Sunday Newsday yesterday that the lands were now under Dulalchan’s control, and had been fenced and a gate placed at its entrance. Saying that the Commissioner of State Lands should have given him first priority for a licence, Mahabir questioned Dulalchan’s application for land as a non-farmer and the prompt response by the Commissioner of State lands to his application. But Mahabir admitted that he never applied for a licence to enter the lands. He also admitted that the crops of cassava, peas and tomatoes he planted were for his private use and seldom sold any. Mahabir, however, questioned the expeditious manner in which the Commissioner of State lands dealt with Dulalchan’s licence in August and his successful application in obtaining a farmer’s permit the following month. “I believe nepotism and pulling strings is at play here,” Mahabir said. In light of the PSC’s recommendation, Agriculture Minister Clarence Rambharat initiated an investigation into Dulalchan’s acquisition of the land via a licence. A report to Prime Minister Dr Keith Rowley has since been handed in. The issue of the process used by the recruiting firm KPMG in arriving at its recommendations to the PSC of Dulalchan and Phillip for the commissioner’s post, came up for debate in the House of Representatives on Friday. It will be reviewed by a Special Select Committee. At the site on the end of Chatorie Street, a corrugated iron fence encircled the front part of the land on both sides to about 50 metres, with a large iron gate to the front. Dulalchan lives with his family a stone’s throw away and from the balcony of the houses along the street, one gets a clear view up to the end of the two-acre plot. The land is not ploughed and does not contain crops but there is a newly-constructed galvanise shed which houses goats and sheep belonging to Dulalchan. The deputy commissioner said that those who now claim ownership of the land were themselves beneficiaries of Caroni lands under the company’s VSEP package. “You ask anyone in this village if these lands were not in tall bull grass. It had nothing. But all will be told on Wednesday. I have no comment to make now. I do not think it would be right to speak on this matter at this time. There has been an investigation and it is before the right people.” Dulalchan said he has nothing to hide and never will. “You go around the village here and ask the people about these lands. Ask them about the investment they see here and what I intend to do here to uplift the community.” The deputy commissioner gave Sunday Newsday a tour of the land which revealed that most of the two-acre plot had not been planted in crops but is bush. “I will tell all soon. There is nothing sinister here,” Dulalchan quipped. 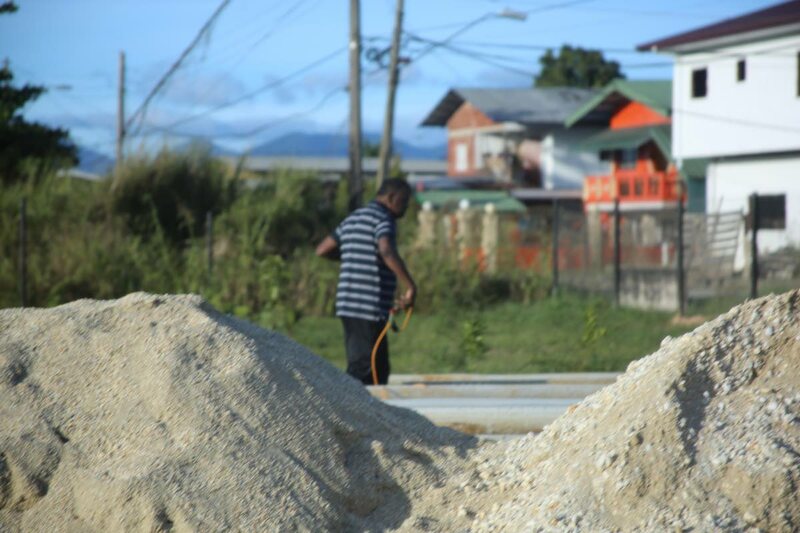 Several villagers, including a retired primary school principal, told Sunday Newsday they were indeed pleased that the vacant land was being utilised for the benefit of the youths in the Felicity community. “I think he (Dulalchan) is trying to do something for many of them who are on the street smoking weed,” Savitri Balroop said. Reply to "The land is mine"